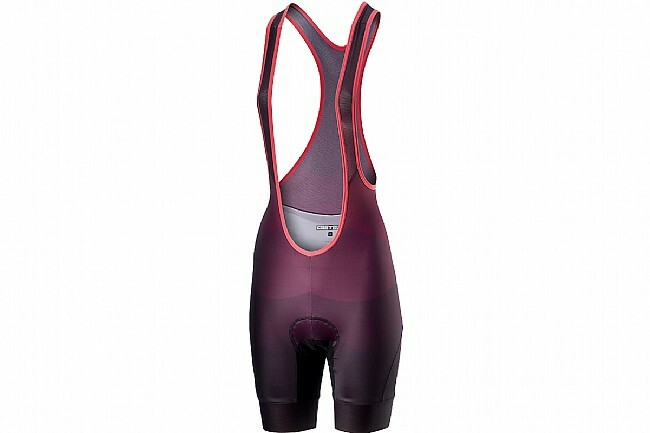 Castelli's Women's Tabula Rasa Bibshort features performance enhancing ProFit Lycra® compression fabric and a women's specific KISS Air2 Donna seat pad that delivers all-day comfort on the saddle. The lie-flat elastic leg grippers help stabilize the shorts without restricting and flat-lock stitching helps reduce skin irritation and chafing. KISS Air2 Donna seat pad.